Very pretty and love all of those papers and the color combo you used!! Nice job with the sketch! Your card is gorgeous!! And thanks for the blog visit!! fun card, love your corner treatments! This is a wonderful card!! I love your take on the sketch. Thanks for joining us. Beautiful card! I love that Boxer paper. Beautiful card. I love these colors together. Lovely card, and beautiful papers, Tina. Thanks for playing along with us. 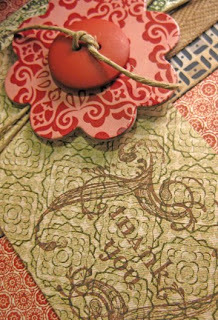 Such a stunning card, I love the rich colours you have used with the combination of the trim.